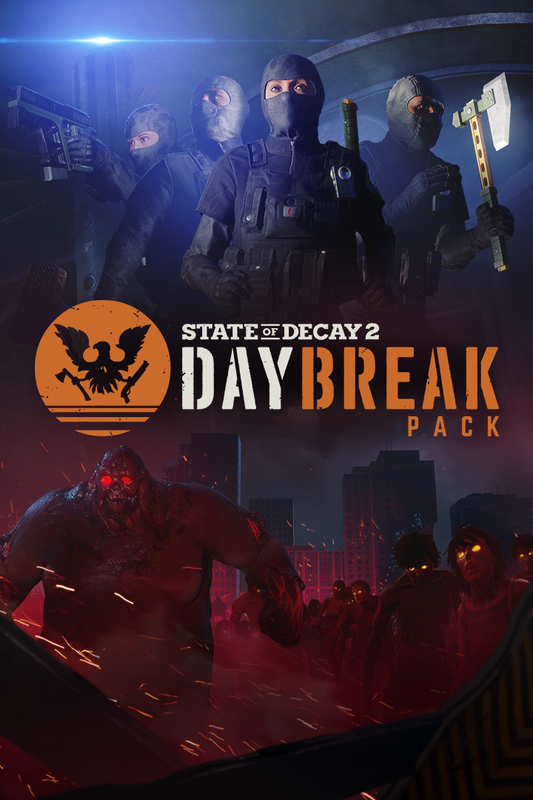 Today we launch the Daybreak Pack, the latest addition to State of Decay 2! Daybreak is a brand-new game mode for State of Decay 2 – a re-playable co-op “zombie siege” experience. You and up to three teammates play as elite Red Talon soldiers, armed with potent high-end weaponry. Working together, you defend a fortified position where a technician needs time to repair a critical satellite relay. You must survive seven waves of zombies, each one bigger and more difficult to defeat than the last, while keeping the technician alive. Only the strongest and most skilled will live to see the dawn!